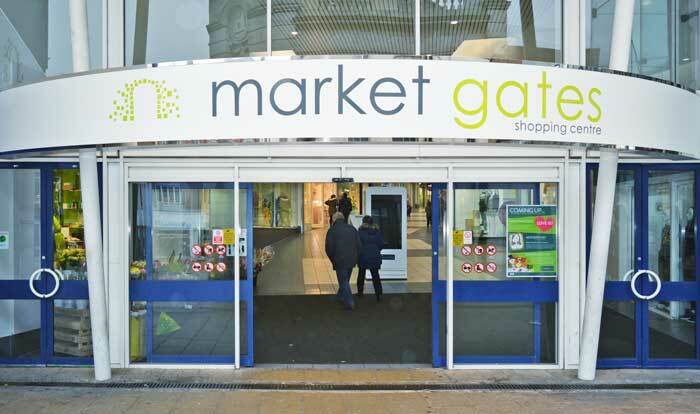 BY USING THE MARKET GATES SHOPPING CENTRE WEBSITE, YOU AGREE TO THESE TERMS WHICH WILL BIND YOU. IF YOU DO NOT AGREE TO THESE TERMS, DO NOT USE THE WEBSITE. Support. If you want to learn more about the website or have any problems using them please contact mick@messagespr.co.uk. Contacting us. If you think the Site is faulty or not as described or wish to contact us for any other reason please email our customer service team at Jessica.ward@marketgates-shopping.co.uk. Acknowledge that Baymount Overseas Ltd reserves the right to monitor any and all communications made to us or using our Site. To the maximum extent permitted by law, Baymount Overseas Ltd accepts no liability for any direct or indirect loss or damage, foreseeable or otherwise, including any indirect, consequential, special or exemplary damages arising from the use of the Site or any information contained therein. Users should be aware that they use the Site and its Content at their own risk. Nothing in these terms and conditions excludes or restricts Baymount Overseas Ltd liability for death or personal injury resulting from any negligence or fraud on the part of Baymount Overseas Ltd.Whilst every effort has been made to ensure that these terms and conditions adhere strictly with the relevant provisions of the Unfair Contract Terms Act 1977, in the event that any of these terms are found to be unlawful, invalid or otherwise unenforceable, that term is to be deemed severed from these terms and conditions and shall not affect the validity and enforceability of the remaining terms and conditions. This term shall apply only within jurisdictions where a particular term is illegal. These terms and conditions and the relationship between you and Baymount Overseas Ltd shall be governed by and construed in accordance with the Law of England and Wales. Baymount Overseas Ltd and you agree to submit to the exclusive jurisdiction of the Courts of England and Wales.